More than 450 world-class wineries. One unforgettable destination. Go on a custom wine tasting tour. Experience Napa Valley your way. Enduring relationships with vintners throughout the valley allow for exclusive access to some of the most sought-after—and little known—tours and tastings in wine country. Whether you’re looking to chat with the winemaker between pours at an intimate family-run winery, sample the next vintage before bottling in a small batch cellar, or indulge in multi-course wine pairings at a palatial estate, we’ll craft your perfect tasting itinerary based on your preferences and palate. As the only resort in Napa with a working vineyard, you can learn about vineyard management through a guided walk through our vineyards, followed by a personal wine-blending session. By blending grape varieties, winemakers can emphasize a wine’s merits, add spice or play up texture. Learn this important winemaking technique, then take home a taste of your own blend to relive the memory of your Napa Valley dream. 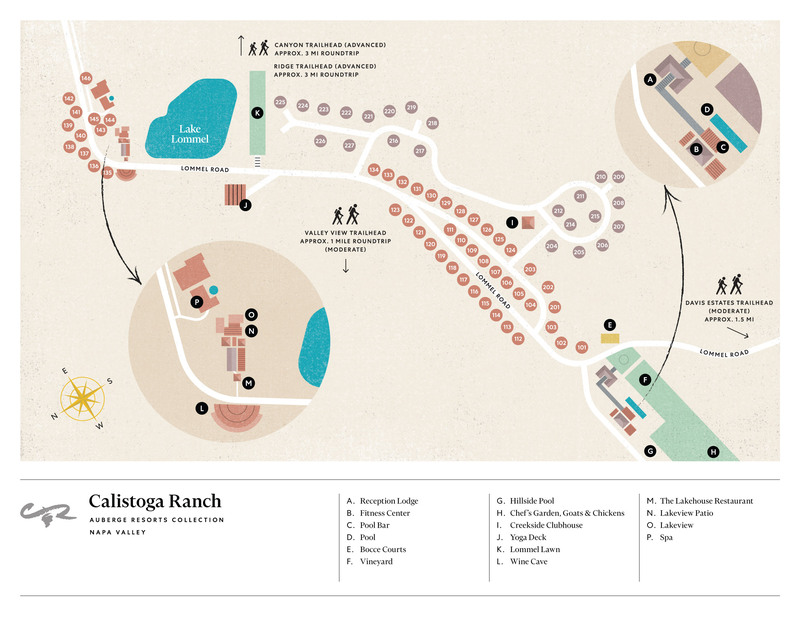 From a private guided walk through endless California vineyards to hiking on private trails to remarkable views, you can find a trove of wonder at Calistoga Ranch.